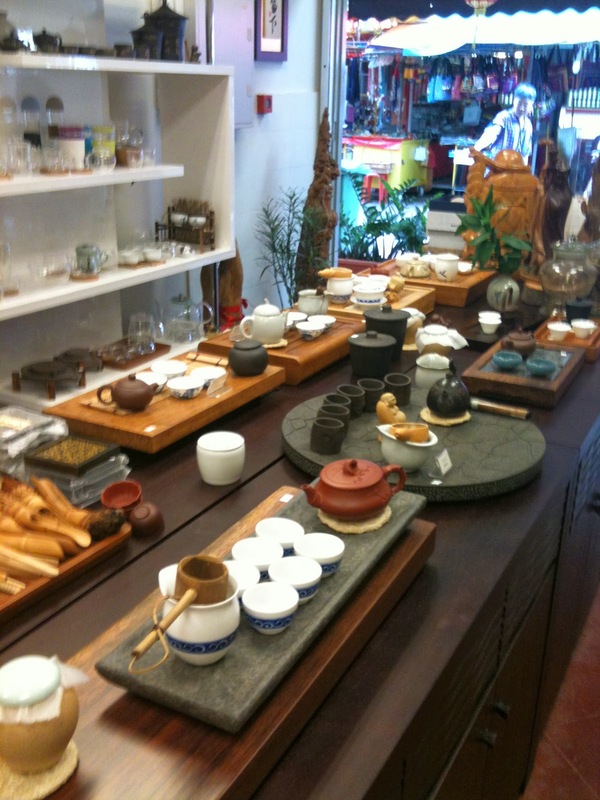 A lovely tea shop tucked away in Chinatown. Chinese New Year preparations are at its heights in Chinatown. The store was hidden in the midst of the tents that are being erected outside the stores along Sago Street. 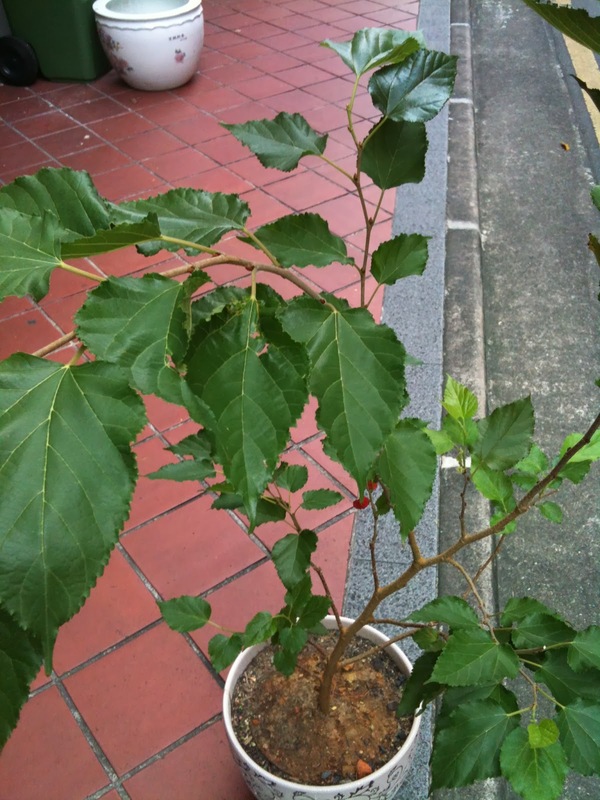 This happens every Chinese New Year for the seasonal vendors. The owner was also busy with his preparations as he was unloading inventory but was gracious to allow me to take some photographs of his store for this article. 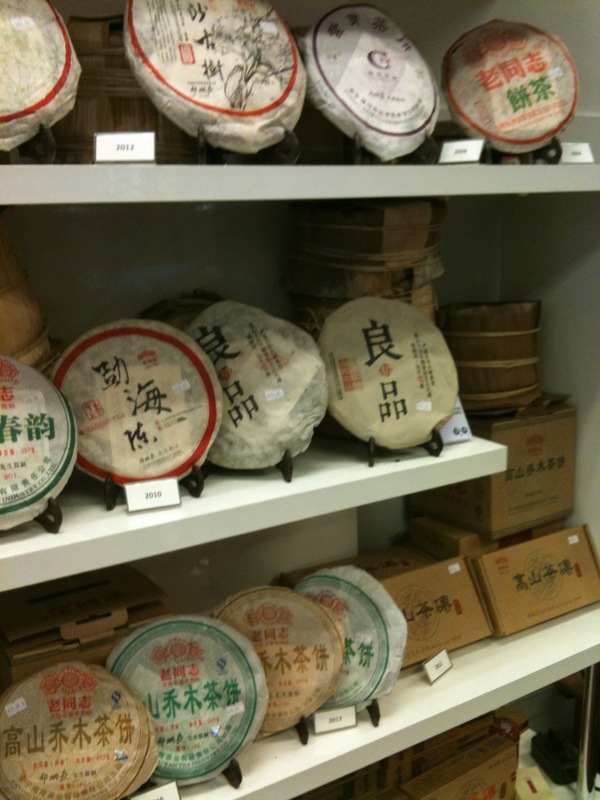 It was a lovely store that carried an array of teas in particular some Puers and religious Buddhist paraphernalia. It was one of the more modern style tea houses in Singapore. 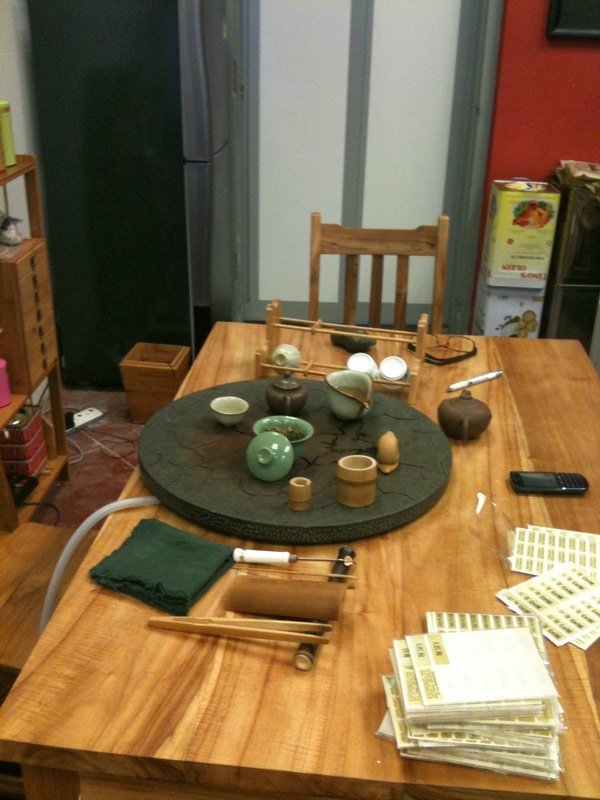 The tea accoutrement are more contemporary in style and they had a lovely collection of tea trays and bamboo scoops. 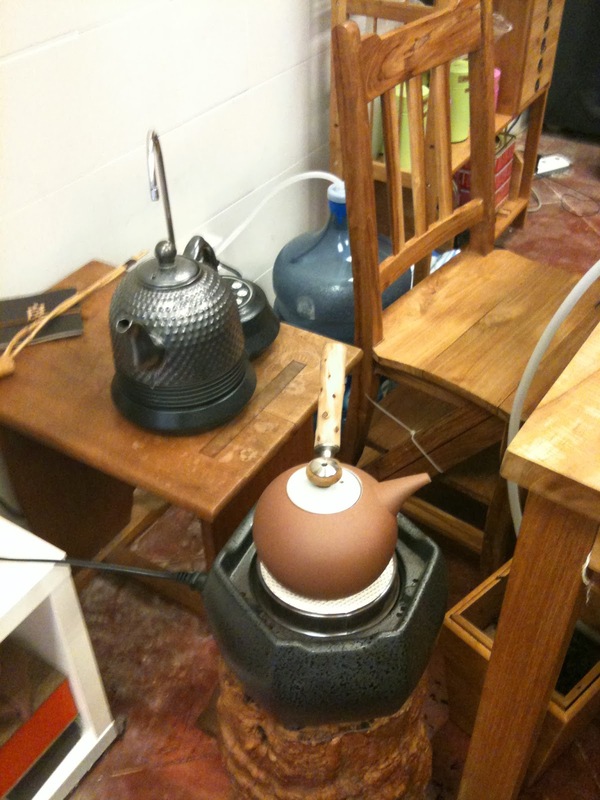 The teapots were more streamlined and functional. 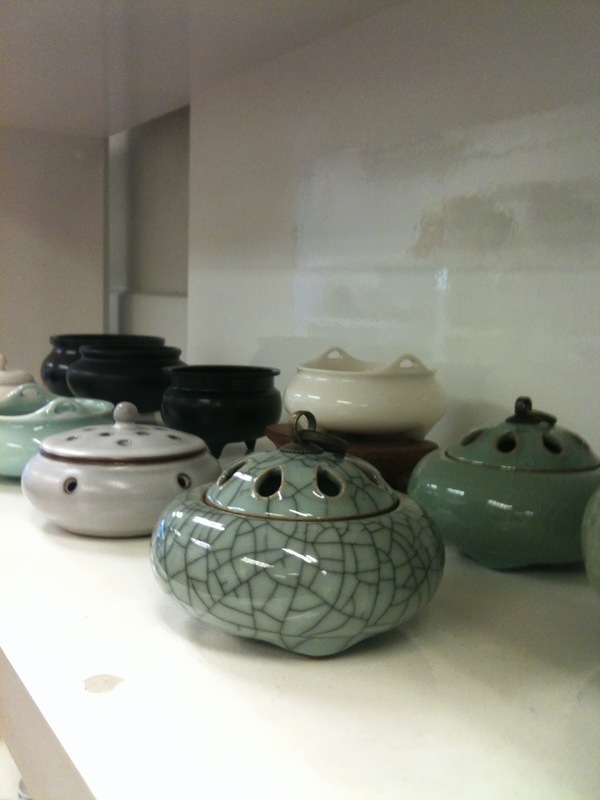 The incense pots are some of the Buddhist and Art of Tea paraphernalia that the store carries. 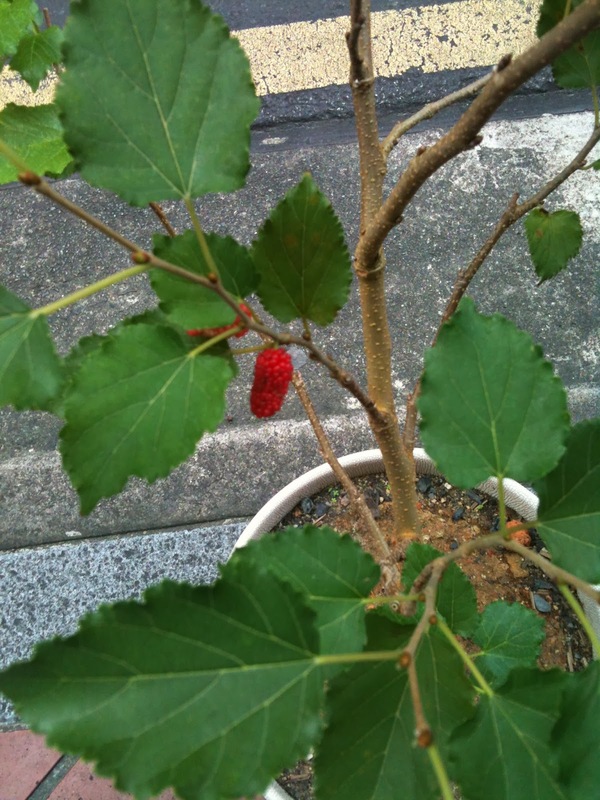 As we were leaving, we were greeted by a beautiful Mulberry plant and its seasonal yield.